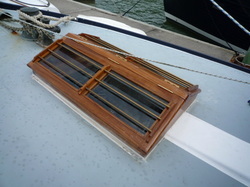 On the Water - Trusted with classics by Logan, Bailey, Lane, Couldrey, Landis, Sparkman and Stephens, Herreshoff, Palin, Lidgard, Townson, Young and other designers. 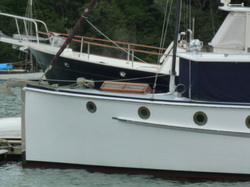 Usually moored in Greenhithe, Luana is the first bridgedecker to have appeared on the Waitemata Harbour. 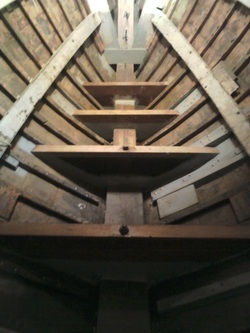 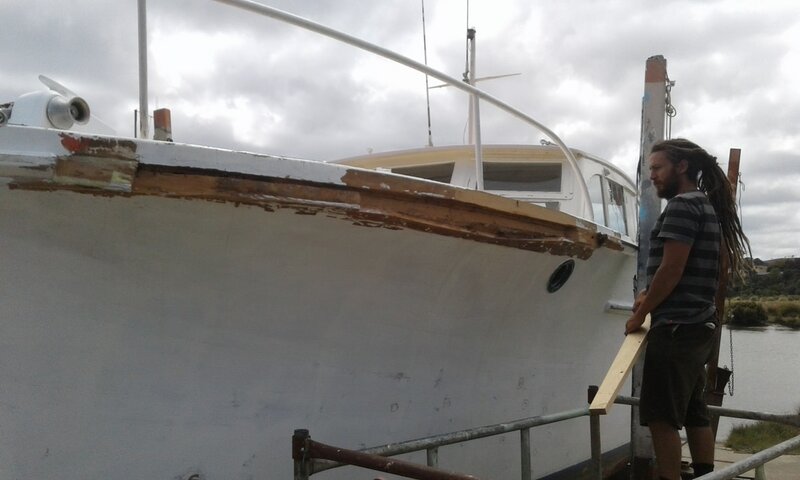 Designed by M T Lane in 1920, she has so far had all her interior companionway steps replaced, and we are now building a new teak skylight for the foredeck. 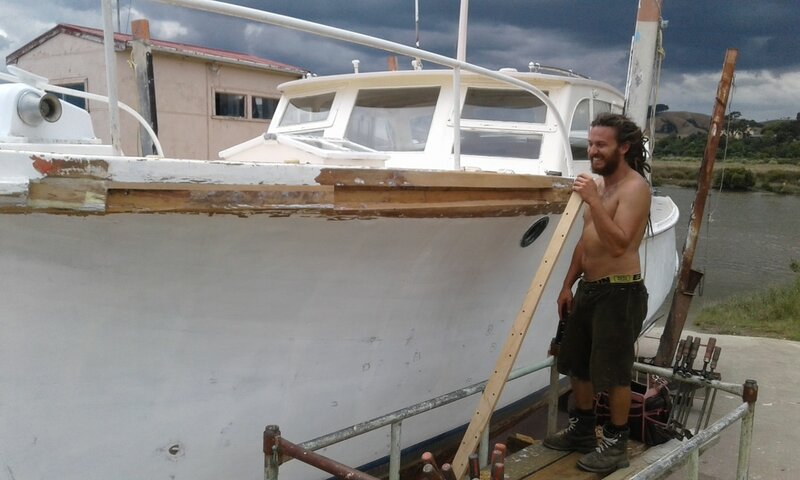 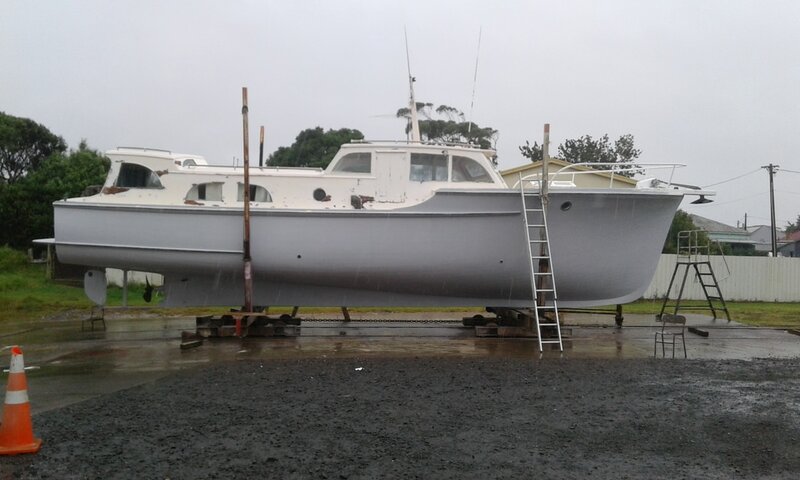 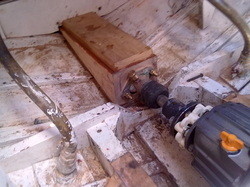 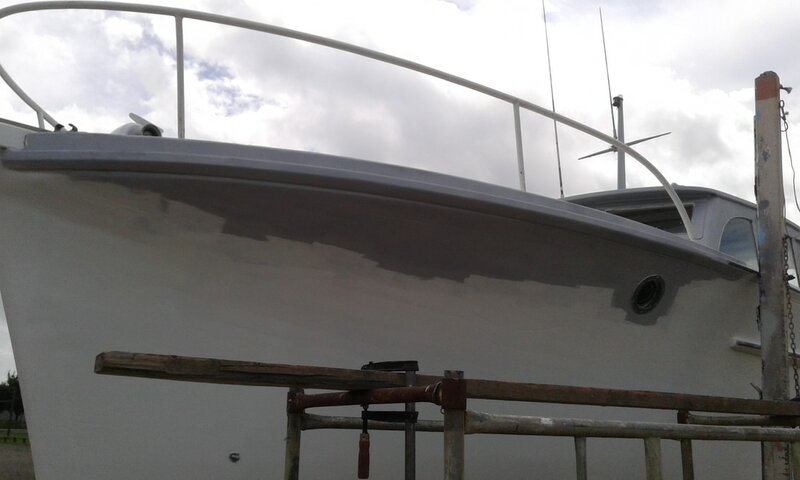 The launch Callisto, moored in Okahu Bay, is having some repairs done to the main cabin windows, because of water infiltration. 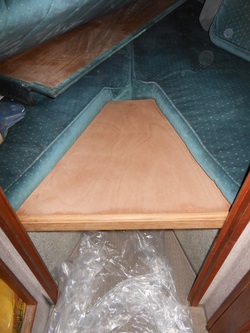 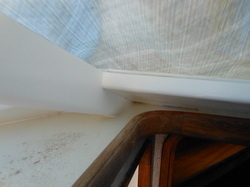 New curved teak trim has been shaped, installed and sealed in. 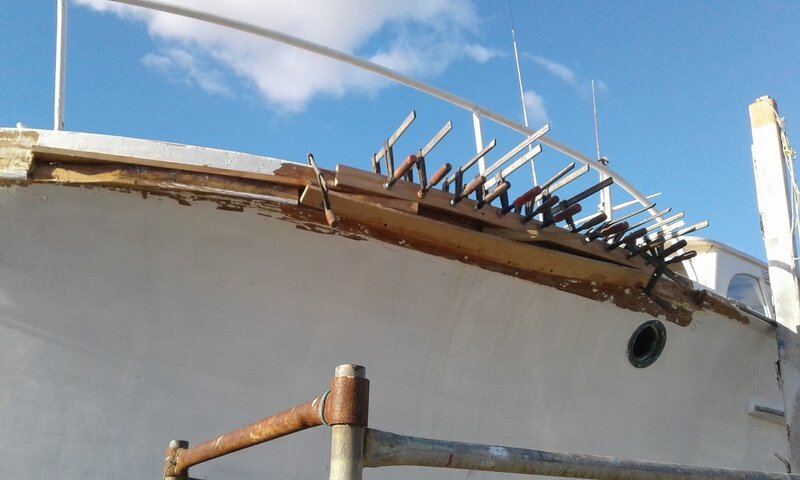 Not currently on the water, but not in our shed either, is Sea Mew, a Herreshoff 28. 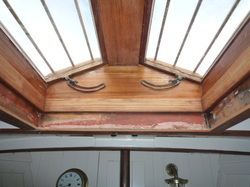 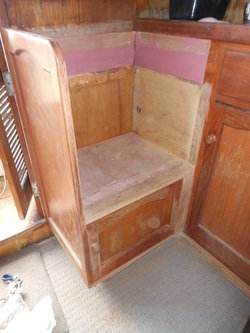 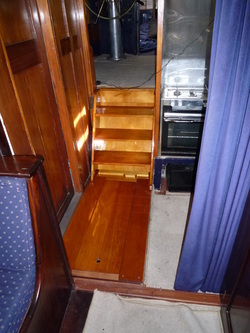 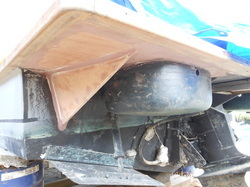 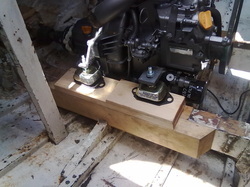 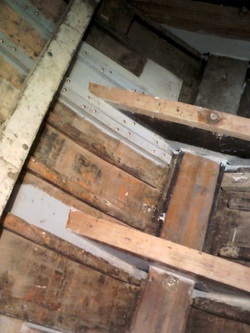 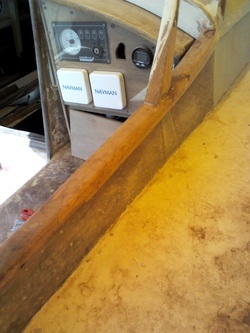 Work has just finished on various repairs to the interior, the cabin top and the coamings. 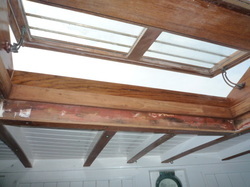 Stained demolition kauri trim, on all ten windows.